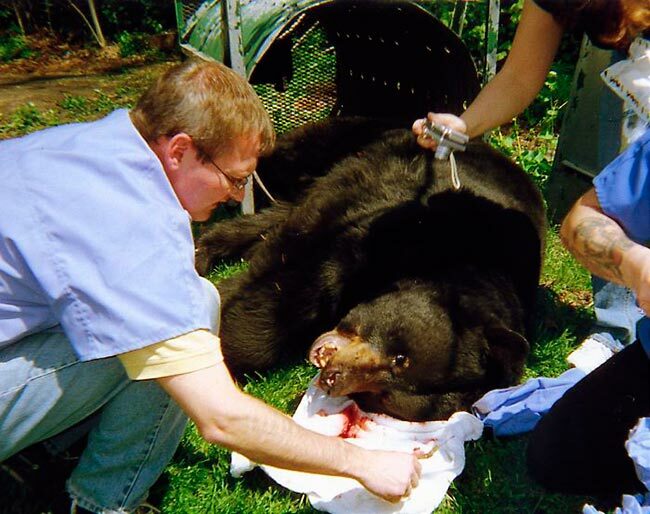 On May 10, 2008, Greenwood Lake Animal Hospital received a call from the Bear Response Team from the NJ Department of Fish Game and Wildlife to provide medical treatment to a “nuisance” bear trapped at the Elks Club on Union Valley Road. 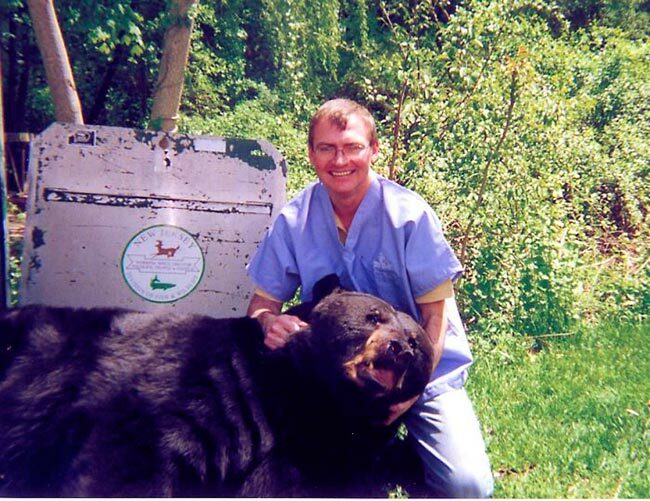 The bear, known by some neighbors as Brutus and by others as Scarface, was foraging in the Elk’s Club dumpster. 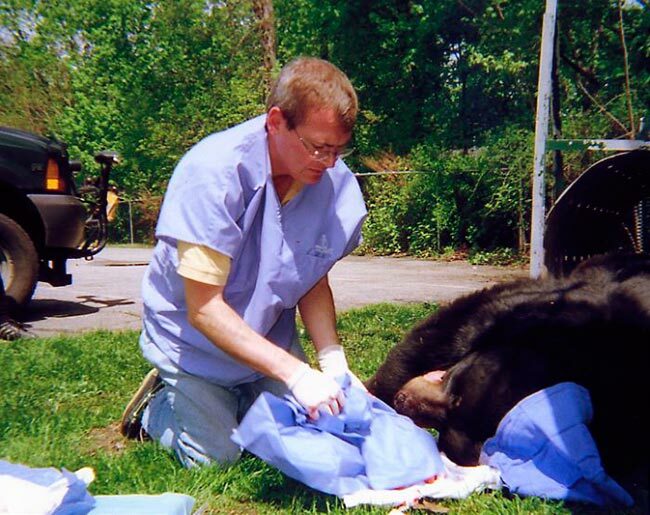 Brutus was anesthetized with two darts while safely trapped by members of the Bear Response Team. 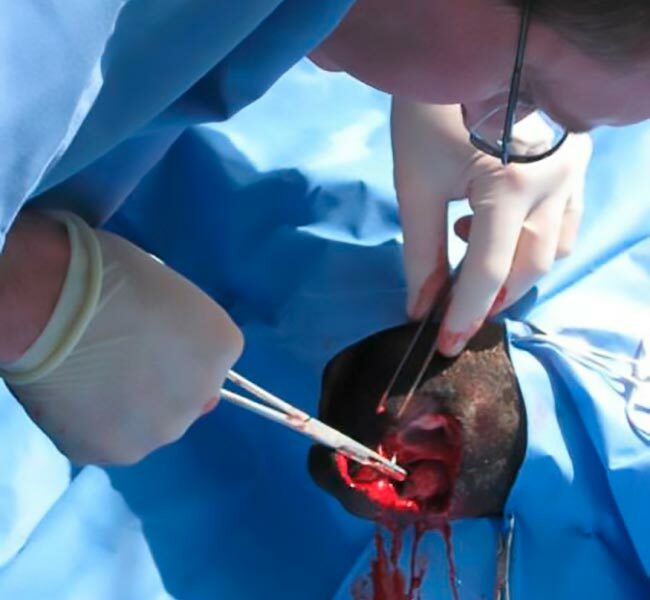 Dr. Eric Louër determined that the injury was old and began reconstructive surgery. 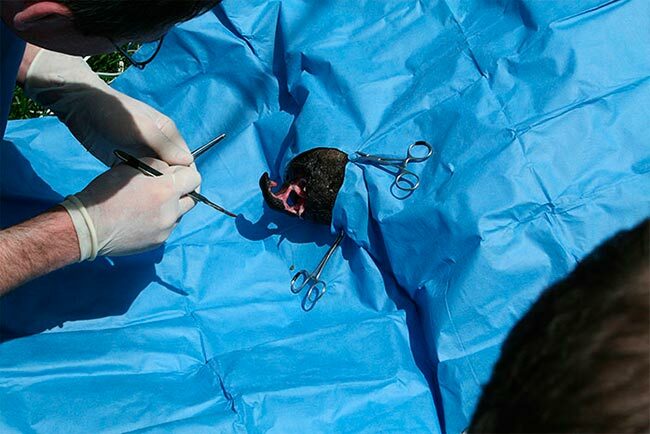 He removed the scarred tissue and reattached his snout. 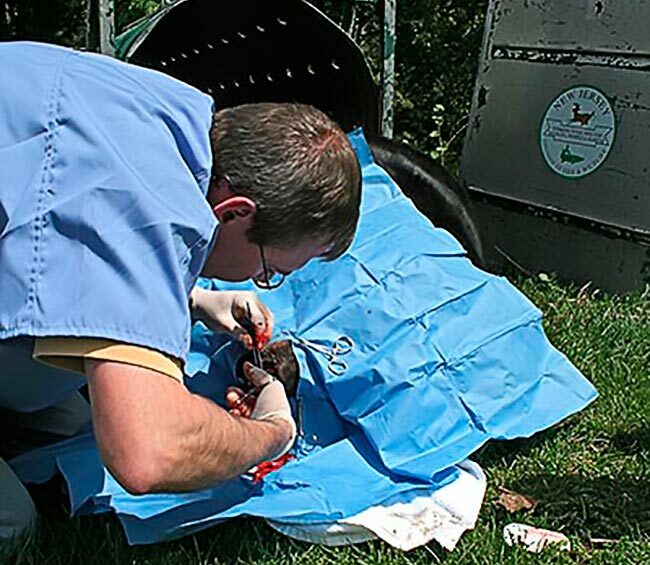 Dr. Louër was assisted by Vincent Manna, a veterinary technician at GWLAH. 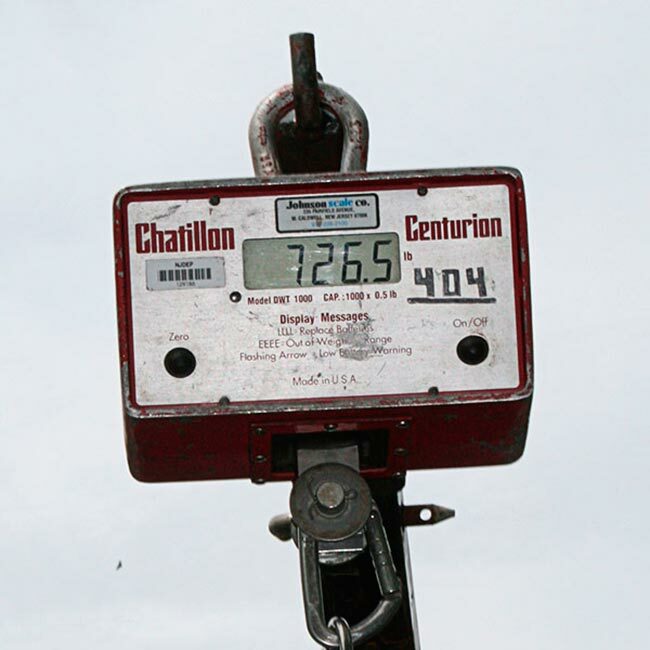 Once the surgery was completed, and while the bear was still snoozing, the Bear Response Team weighed (726.5 pounds) and measured him. 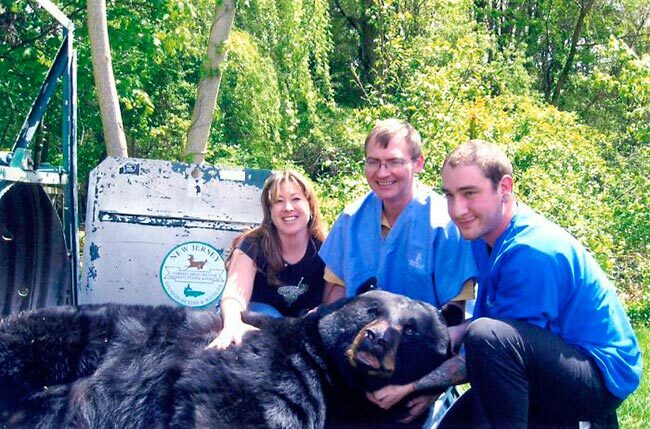 The bear was found to be in excellent health and approximately 10 years of age. For tracking purposes, the Bear Response Team tagged the bear. He was then released. 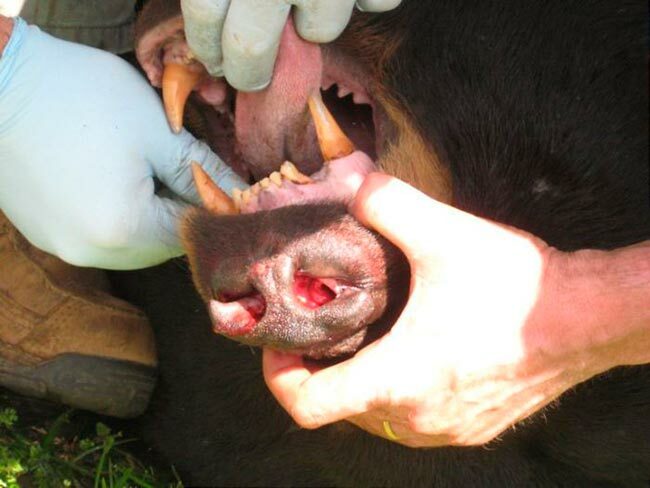 THE BEAR IN THESE PICTURES IS ANESTHETIZED ! 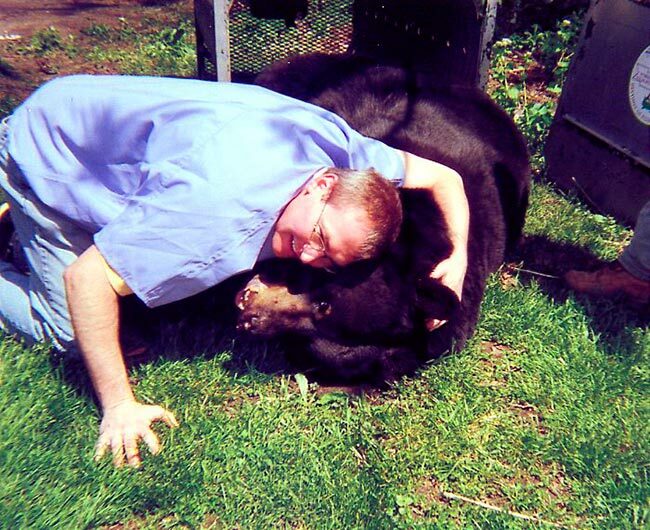 NEVER ATTEMPT TO APPROACH A BEAR !